“At 20.46 carats, it sits in the very top bracket of all-time historical blue diamond finds, it is an Oval Brilliant Cut with VVS2 clarity”. That is how Okavango Diamond Company described the biggest blue diamond ever discovered in Botswana on Wednesday. The diamond is the largest blue stone discovered in over 50 years of mining in Botswana, making it one of the highest polished colour classifications attainable for any blue diamond. 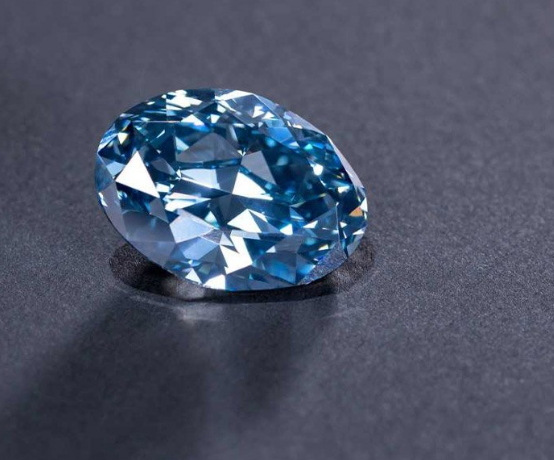 According to the company’s Managing Director, Marcus ter Haar, blue diamonds are the most sought after around the world as only a very small percentage of the world’s diamonds are classified as fancy colour. “It is incredibly unusual for a stone of this colour and nature to have come from Botswana — a once-in-lifetime find, which is about as rare as a star in the Milky Way,” said Marcus. The diamond was discovered at Botswana’s Orapa mine as a 41.11 carat rough stone. “From the first moment we saw the diamond, it was clear we had something very special. Everyone who has viewed the 20-carat polished diamond has marveled at its unique colouration which many see as unlike any blue stone they have seen before, ” said ter Haar. The stone’s unique and vibrant blue colour is created by the molecular inclusion of the rare mineral boron which between 1-3 billion years ago was present in the rocks of ancient oceans during violent diamond forming volcanic activity. “We are staying away from speculating its value because a gem of this nature is very rare,” added Marcus when quizzed about just how much the diamond is worth.